I've spent the best part of the morning in my loft checking out my Autumn/Winter stuff....and it got me thinking as to what pieces will see me smoothly through until it gets colder so I thought I would share with you versions of what will be my hardest working pieces in the coming weeks. I did a similar post back here which I'm hoping will help me not to peak too soon with the A/W purchases by making me look properly at what I've got and any holes I may need to fill or things that need replacing! I'm going to start with outwear.....these two jackets are my stalwarts come this time of year. 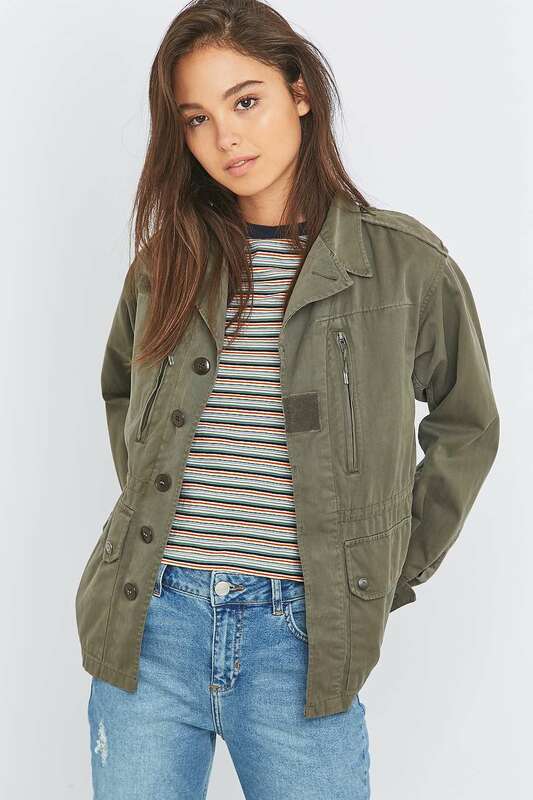 First up is the trusty khaki army jacket. I actually have a couple of versions of this as they are so useful for the chillier morning school runs! This Urban Outfitters is a replica of a Topshop one I've had a few years now. I also have a lighter weight version similar to this one. 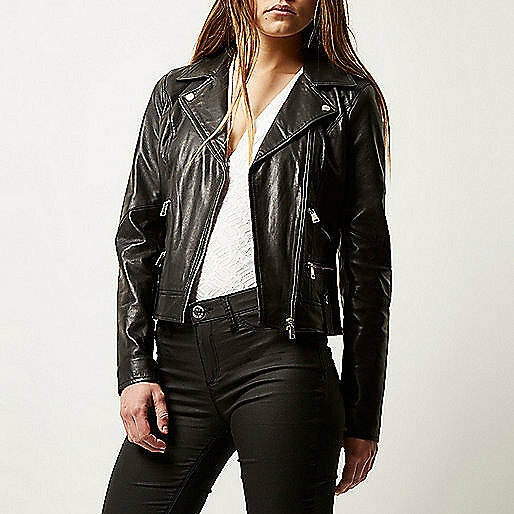 Next up is a classic black leather biker jacket.....I wouldn't be without one of these all year round as they are just about the hardest working jacket you will ever own! I managed to bag a Muubaa one in the ASOS sales a couple of years back but River Island have a brilliant one for a great price too! Moving onto what to wear underneath the jackets....well this is when the Breton's come out in force! I personally like an oversize style as I like to be able to tuck the front into jeans/trousers/skirts. If you prefer something semi fitted this one is great! 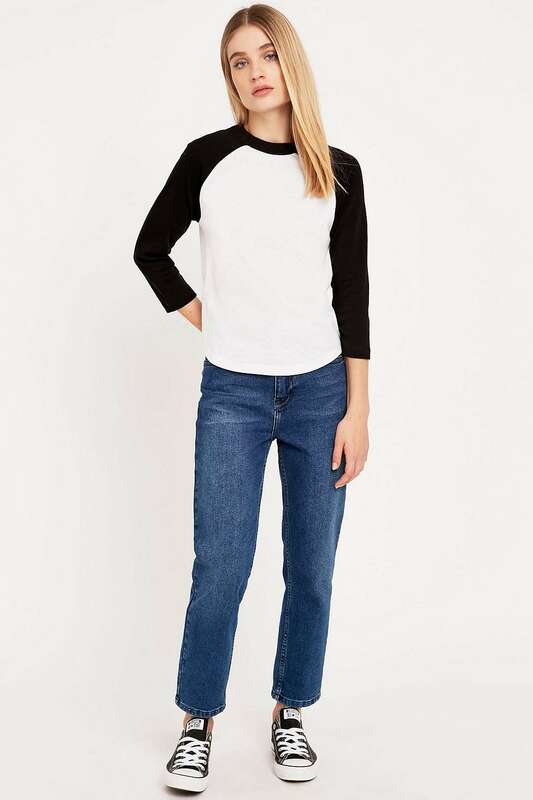 A fab alternative to the Breton that I found last year also from Urban Outfitters is this baseball top. Looking forward to wearing this again! 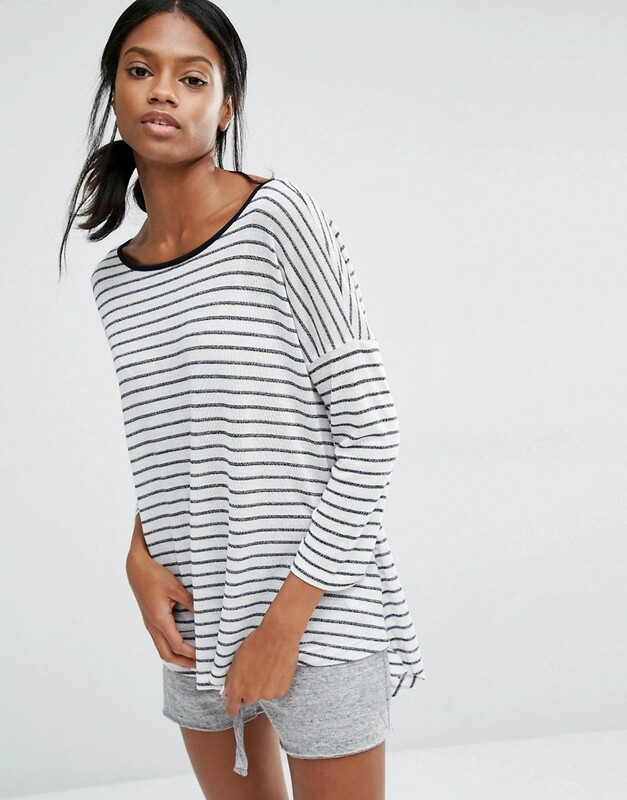 Graphic tee's are also a useful addition to your transitional wardrobe. 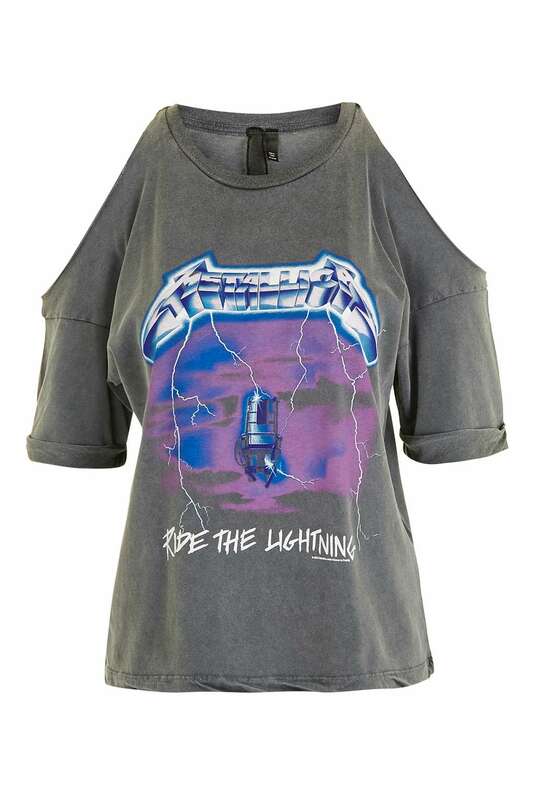 Primark do some fab ones....I have a Ramones one but I am lusting after this one that I saw in Topshop as I like the quirky shoulder detail! 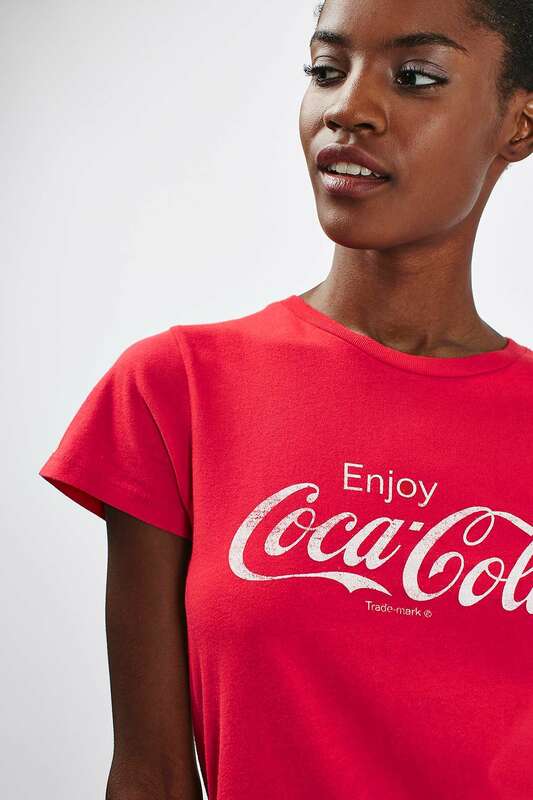 If you fancy adding a pop of colour how about this Coca Cola t-shirt from Toppers, I have something similar already from Primark, that's a few seasons old now. After falling in love with the colour red over the summer.....I tend to incorporate a whole lot more of it into my wardrobe. 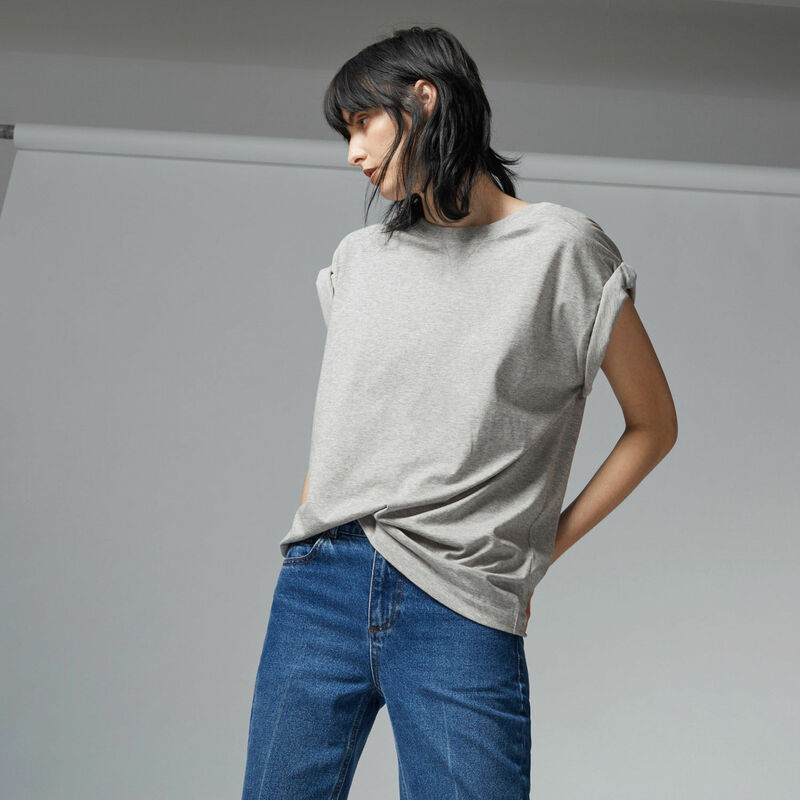 Grey does tend to feature quite heavily in my crossover wardrobe and I spotted this gorgeous grey t-shirt in Warehouse that would be another fab wardrobe staple. Such a great shape.....and a girl can never have too many grey tee's! Last but not least is this style which is the trend input amongst this little lot as I've seen a lot of this style around! I like the neckline and it's quite fine so easy to wear under jackets! Let's move on to what to wear on the bottom half! I am forever faithful to my good old Topshop Jamie's! I will be adding a new black pair to my collection in the next few weeks, I couldn't live without grey or blue ones too! Another bottom I wouldn't be without is my good old Zara army trews, again I've had mine a couple of years. 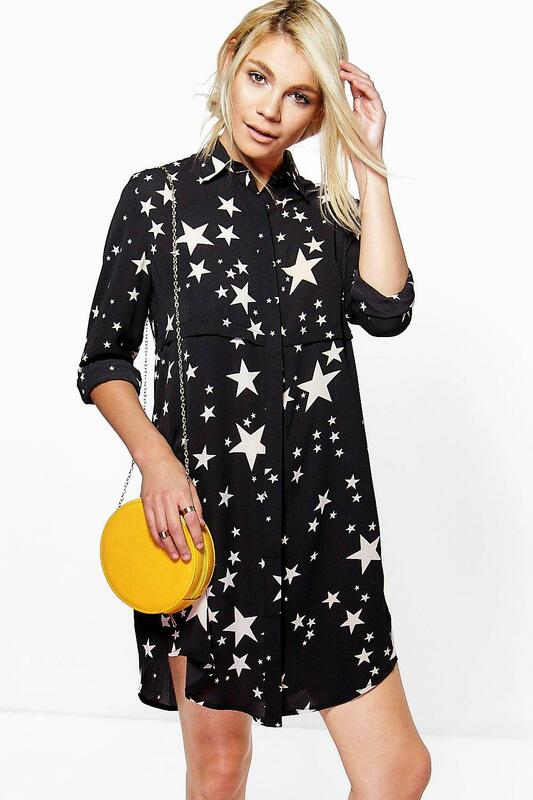 A great alternative to jeans and khaki goes with most things! In the interests of getting the legs out for as long as poss I'm including a skirt here! I shall be wearing a past season Zara pleather a-line skirt but a great (possibly more functional?) alternative (can I justify this too?!) 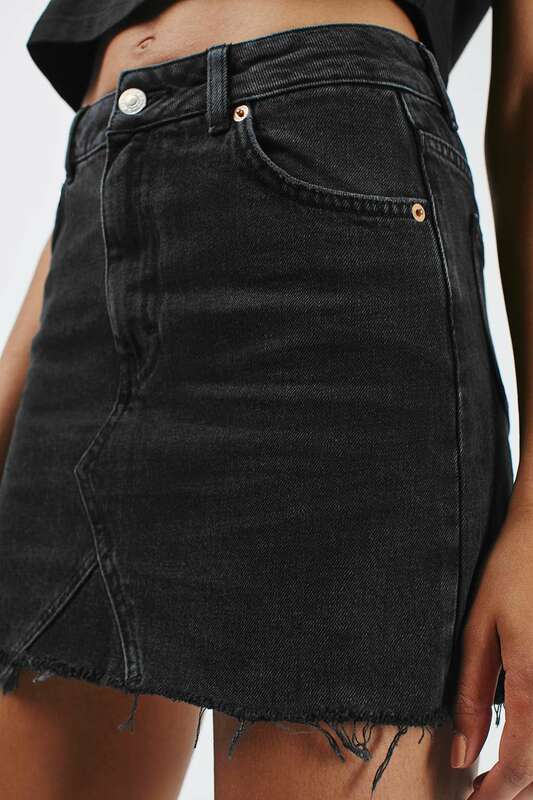 would be this black denim skirt from Topshop. I've been on a dress roll these past couple of months.....so I'll still be wearing my Warehouse denim shift (similar here) pinafore (similar here) and shirt dress (similar here) fingers crossed throughout September and October. I've bought this (and worn already! See here) in prep for the transitional period! Lastly onto the fancy footwear! As you may already know I've purchased these.....see here. 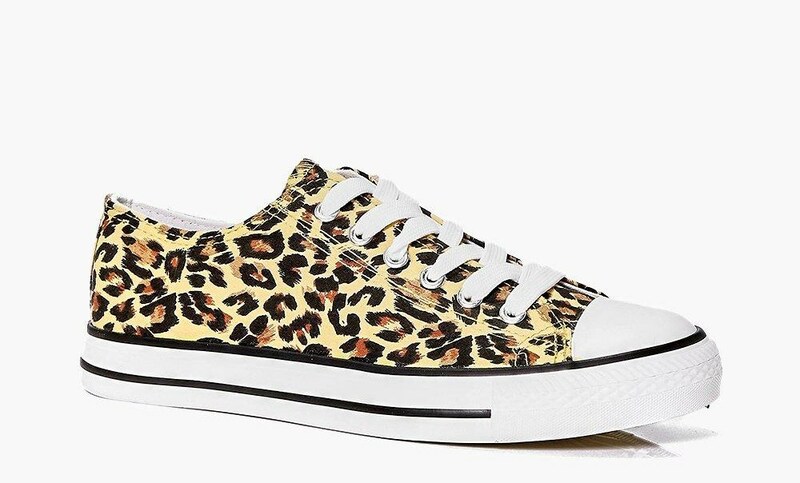 A punchy change to my usual black or white low chuck Converse that are undoubtedly my most useful footwear! I also plan on getting a lot more wear out of my leopard print Adidas Stan Smiths that I bought back in spring! I can no longer find them online but what a fab little alternative these are for a tenner. I will be trying to stay out of my boots for as long as possible and as I found my Office Dappers so useful and I think the loafer may be here to stay I could well end up with these to tide me over until the boots are required! 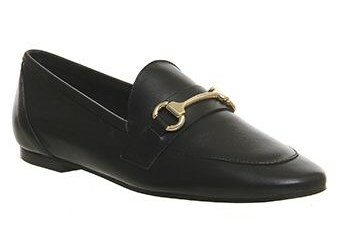 Another great A/W shoe staple if you want/need something slightly smarter! So that's a taster of how the basic's of my transitional style shape up....as I say I already have versions of all of the above in my wardrobe and this will carry me through with the odd new addition of course! I've made a couple of transitional and colder weather purchases, you can see what I've bought so far here and I'll be updating each time I buy something. 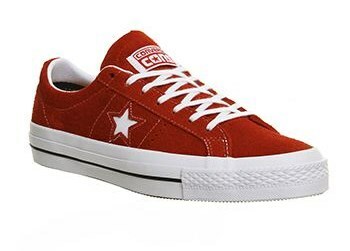 I tend to wear a lot of black and grey in the colder months so I am looking to add punchy bits of colour here and there what with the splashes of red...the Converse and some khaki. I'm going to keep it quite classic until I can work out which of the trends will work well with my existing A/W stuff....well that's the plan anyway! Do you have wardrobe agenda for the coming weeks? I would love to hear! I LOVE all your suggestions, shame the kids have bankrupted me over the hols! As soon as September payday rolls, around I am definitely investing in that bargain M&S coat and the denim shirt dress. I've been struggling with what to wear on my bottom half this A/W. I keep hearing how skinnies are dead, but I'm yet to find an alternative that I like half as much. Having said that, there's still plenty of skinnies about, so maybe this is one of those times I need to just stick with what I know? 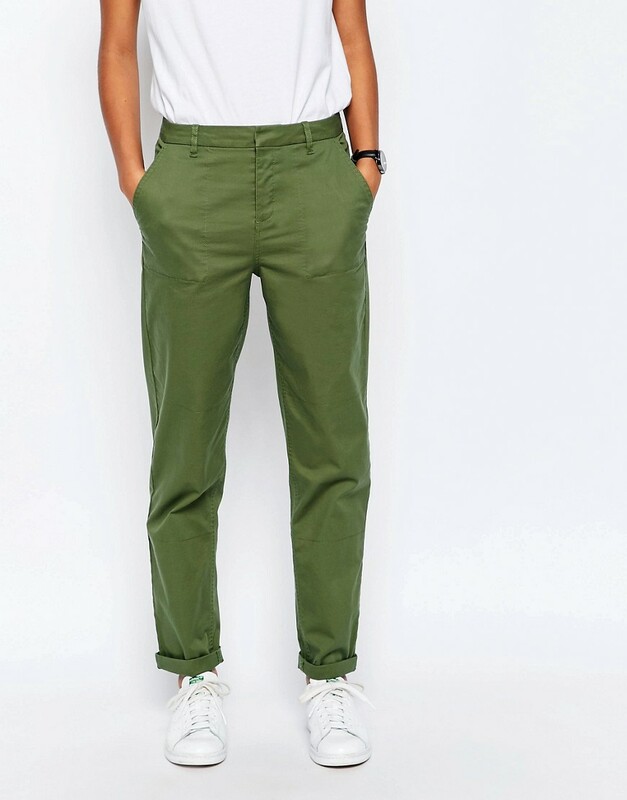 Although I'm loving the idea of a pair of khaki trousers, another thing to add to my wishlist! Thanks for all the fab suggestions. Lol.....I know how you feel about the kids bankrupting us all over the holidays Louise! I'm currently getting a bit creative with my finances as I'm terrified that some of the things I have my eye on will be gone before I've had the chance to snaffle them! ;0). I will be living in my skinnies....as usual! They are the best style to wear with boots in my book so yes, I would stick with what you know and how you feel, I don't think skinny jeans are going anywhere....why else would it be so difficult to get the Topshop Jamie's in my size instore! Plenty online though so I've just ordered black and grey! The khaki trews are a must, such a great alternative to jeans!